Samsung will be launching the next edition of its Galaxy Note series in less than a month, and we're starting to get some solid information about the upcoming phablet. As previously rumored, Samsung is skipping a number on this year's model, so the new model will be called the Galaxy Note7. The move to leapfrog "Note6" was made in order to keep the naming convention consistent across all Galaxy devices to help cut down on confusion, according to Samsung. Also, as Evan Blass pointed out, if you count the Note Edge, the upcoming Note7 is technically the seventh iteration of the Galaxy Note line anyway. Now that the name is cleared up, let's go ahead and check out the Galaxy Note7. Images of the Galaxy Note7 have been trickling out over the past few weeks compliments of Blass and NowhereElse (via Weibo). 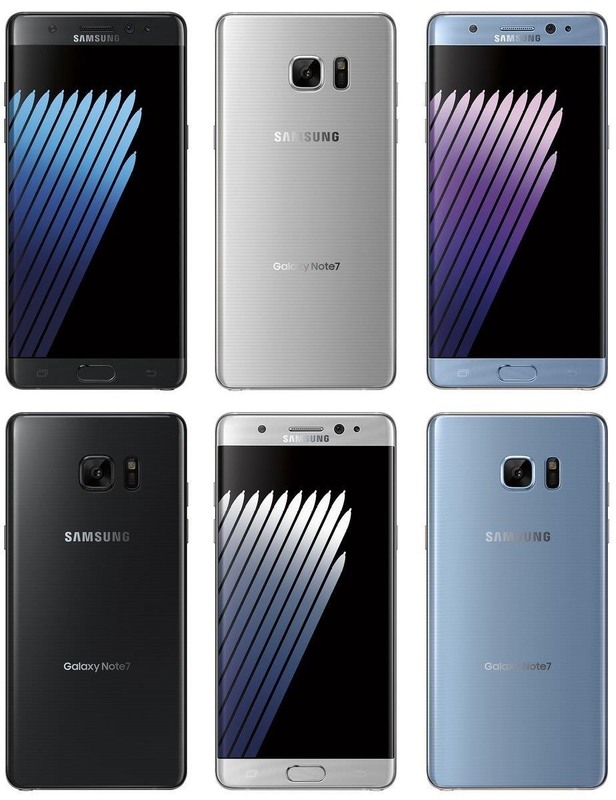 Blass got a hold of some press renders that show the Note7 will come in three colors—Black Onyx, Silver Titanium, and Blue Coral. 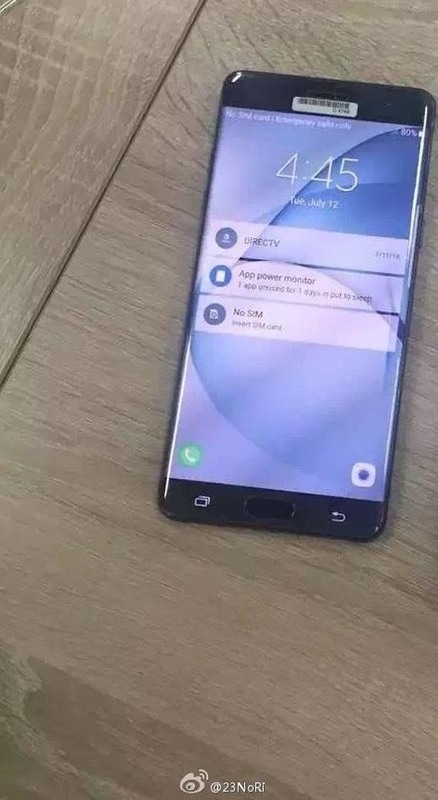 As expected, the Galaxy Note7 has a curved Edge display, which you can get a better look at in the leaked images from NowhereElse. 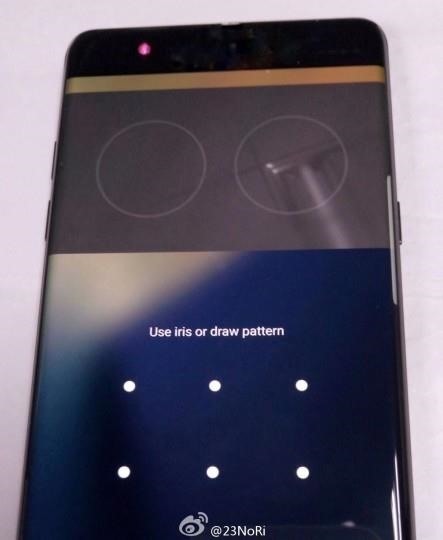 These leaked images from SamMobile (via Weibo) confirm earlier reports that the Galaxy Note7 will include an iris scanner that you can use to unlock your device. 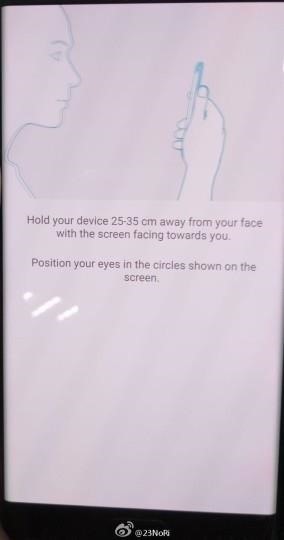 All you'll have to do to unlock the device is hold it at an arm's length—25 to 35 cm (or about 10 to 14 inches)—from your head, then align your eyes with the two circles on the display. 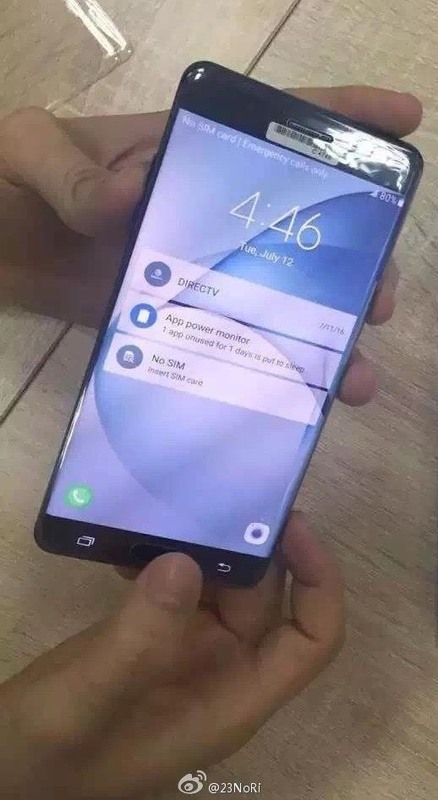 We don't have any verification on this yet, but the iris scanner is rumored to verify users faster than the fingerprint scanner found on previous Galaxy models. There's also no word yet on how or if the iris scanner will function with third-party apps, or as authentication for purchases on the Google Play Store, but it will most likely be compatible with Samsung apps like Samsung Pay. It looks like the previously rumored specs for the Note7 were spot on, but there are a couple more things to add. Firstly, we now know that the Note7 will have a 3,600 mAh battery (other sources claim it will be as high as 4,000 or 4,200 mAh), which is a nice improvement over the 3,000 mAh battery in the Note5. Secondly, the expandable memory slot will actually be a dual microSD/UFS (Universal Flash Storage) tray, allowing the phone to utilize Samsung's new UFS memory cards that are said to be more than five times faster than microSD cards. UFS cards have read speeds of up to 530 MB/second, and write speeds of up to 170 MB/second. Compare that with microSD cards, the fastest of which, at best, read at roughly 95 MB/second, and this is quite the improvement. Basically, this means your expandable storage will seem just as fast as the built-in storage, bridging an important gap. Samsung is holding several launch events on August 2, 2106 to unveil the Galaxy Note7. The initial launch will take place in New York at 8 a.m. Pacific (11 a.m. Eastern), and you'll be able to watch it on samsung.com or Samsung Newsroom. Later, there will be simultaneous events in London and Rio de Janeiro, beginning at 1 p.m. Pacific (4 p.m. Eastern). Speaking of Rio, Samsung is a major sponsor of the upcoming Summer Olympics, so there's a good chance that there will be some sort of tie-in to show off the Note7 at the games.